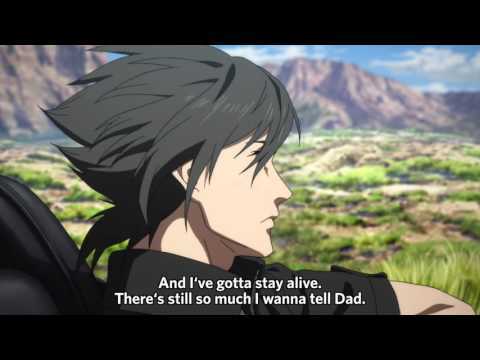 Brotherhood is a 5 part anime released prior to Final Fantasy XV that explained the backstory of the 4 main Characters in the game, Noctis,Prompto, Gladiolus and Ignis. It is available to watch for free on Final Fantasy's YouTube Channel. In Episode 1, Noctis has set out on his journey to meet Lunafreya, during which he hears about the attack on Lucis' capital, Insomnia, and must fight off attacks from Niflheim magitek troops. During the episode he recalls the attack in his childhood which left him seriously injured. At the end of the episode, he encounters the being responsible for the attack again as part of a Niflheim attack force. 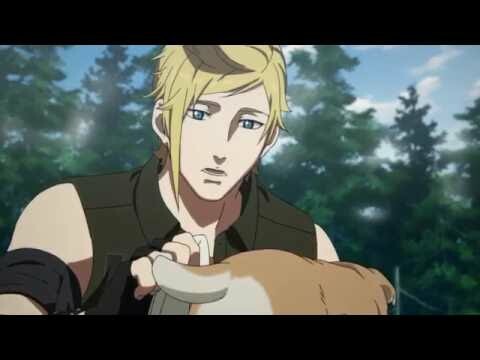 Prompto's backstory is explored in Episode 2 as it chronicles his care for a lost puppy found on the road, which turns out to belong to Lunafreya. During this time, Prompto is shy and overweight, and a classmate of Noctis although they are strangers. Upon returning the puppy to Lunafreya, she asks him to befriend Noctis and look after him. By the time they reached high school, Prompto lost a significant amount of weight and became considerably more outgoing, approaching Noctis who recognized him nonetheless thus beginning their close friendship. Episode 3 looks at Gladiolus's origins. The friendship between him and Noctis are shown through a monster encounter which becomes a friendly competition. Gladiolus initially sees Noctis as a spoiled brat, but changes his perspective once Noctis helps keep Gladiolus' sister Iris out of trouble by covering for her. 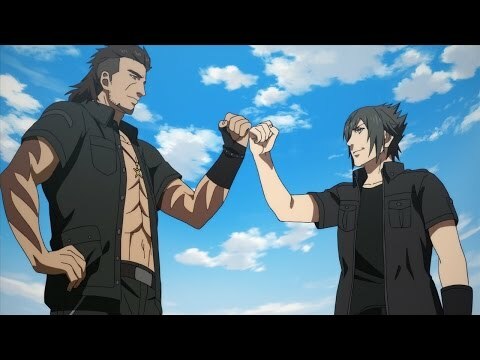 This begins Gladiolus' transition from bodygaurd to close friend. 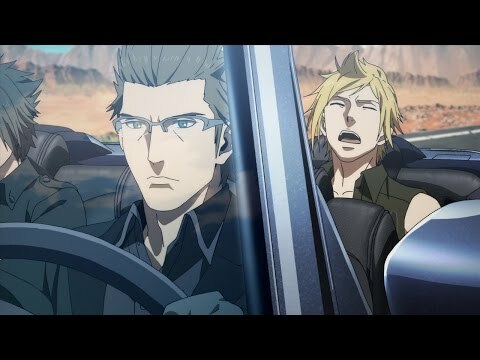 Ignis' relationship with Noctis is uncovered in Episode 4 when the group stays in the town of Lestallum, with Ignis attempting to make a favorite dessert of Noctis'. We are then shown Regis feeling the effects of maintaining Lucis' magical wall, and subsequently entrusts Ignis with caring for Noctis. Seeing the decline of his father, Noctis becomes distressed and argues with Ignis over his future as king. When the truth of the situation finally hits him, Lucis and Ignis are reconciled and resolved to face what is to come. Episode 5 picks up where Episode 1 left off, with Noctis charging at the being that almost took his life. He charges at it alone, and is repelled despite fighting with ferocity. While fighting, he remembers everything about the initial attack, including how his father just managed to drive it away. Noctis finds new strength in these memories, and kills the foe with his companions, stirring immense feelings within him. The party then resumes their road trip, where we will find them at the beginning of the game.